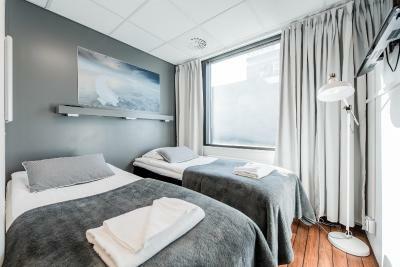 Lock in a great price for Forenom Aparthotel Oulu – rated 8 by recent guests! 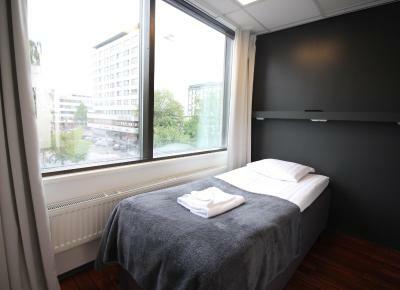 Great location, comfortable bed, great view, easy check-in, tea and coffee machines in the room. The view of the plaza was really nice and the room has all the facilities that you expected. I didn't meet any of the staff but I think that was ok. Very nice, clean hotel room. Everything is uncomplicated. It was right in the city center. 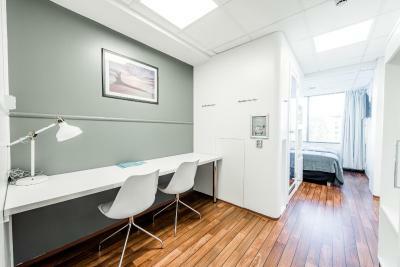 Excellent location, right in the city center. The room had a fridge, a microwave, plates/cups/glasses/etc. It even had sachets of coffee, sugar and cream. Location was superb! Keycode system was easy and covenient. Location was excellent. Keyless entry system worked really well, it was clean and comfortable. Breakfast very good. 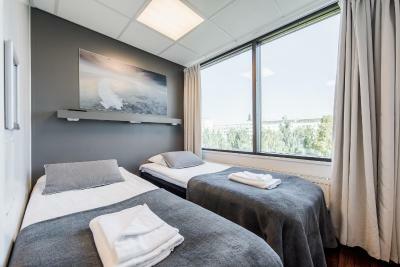 Forenom Aparthotel Oulu This rating is a reflection of how the property compares to the industry standard when it comes to price, facilities and services available. It's based on a self-evaluation by the property. Use this rating to help choose your stay! 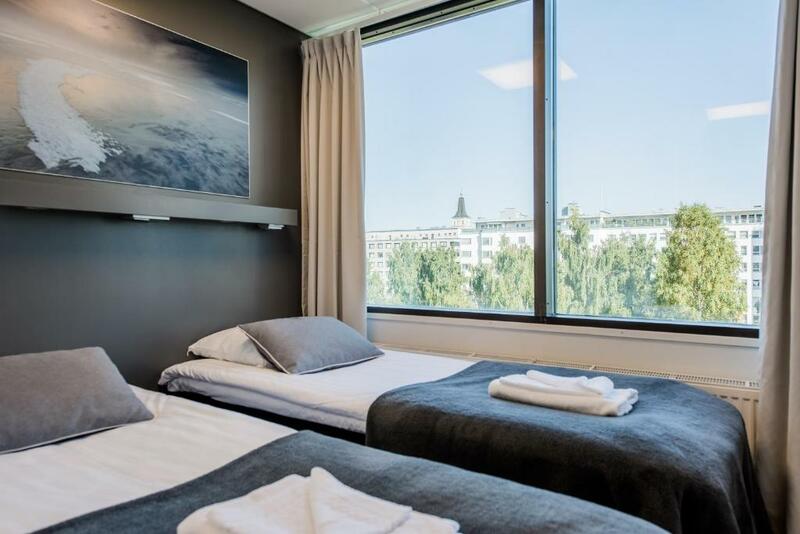 One of our top picks in Oulu.Located in the center of Oulu, Forenom Aparthotel Oulu Uusikatu is a modern, self-catering accommodations just a 6-minute walk from Oulu Railway Station. Free WiFi is available. 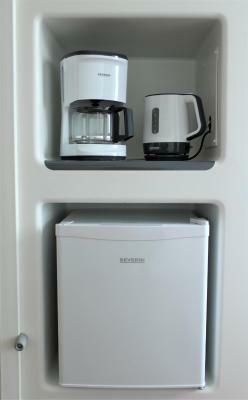 A coffee machine, microwave and small refrigerator are featured in each apartment, along with a flat-screen TV. 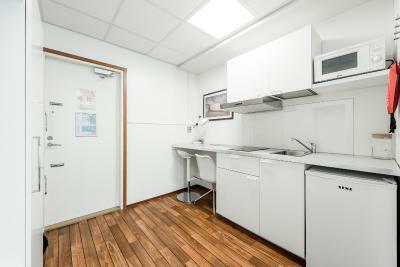 Some also feature a kitchenette with a stovetop. 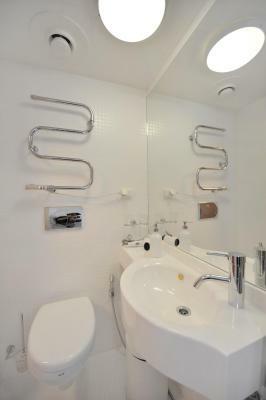 All apartments have a private bathroom with a hairdryer and free toiletries. 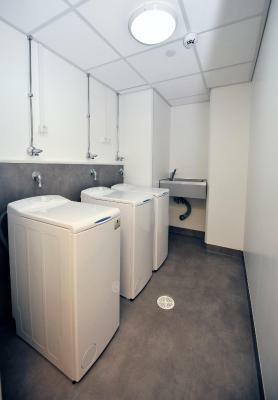 A shared kitchen and a laundry room are available for guests. Private parking with limited spaces is available on site. 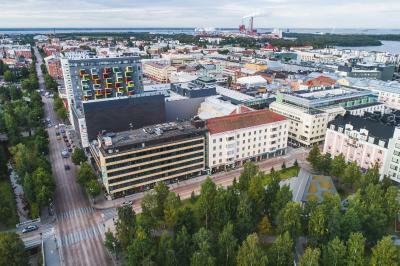 Forenom Aparthotel Oulu Uusikatu is 1,300 feet away from the pedestrian shopping area Rotuaari. 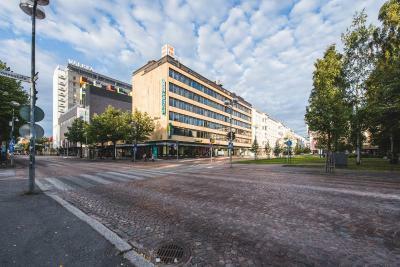 The nearest airport is Oulu Airport, a 20-minute drive away from this property. When would you like to stay at Forenom Aparthotel Oulu? 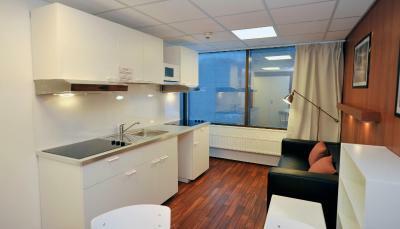 Studio that features a flat-screen TV, microwave and tea/coffee facilities. Public parking is available on site (reservation is not possible) and costs EUR 8 per day. 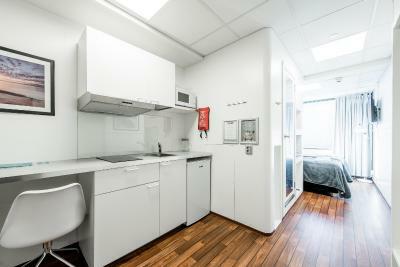 Modern studio that features a kitchenette with a stovetop, flat-screen TV and tea/coffee facilities. 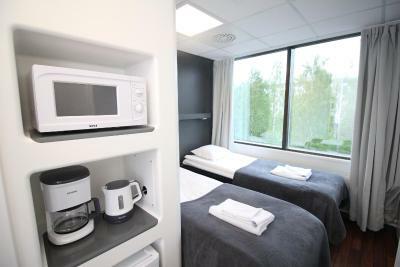 This single room features a microwave, kitchenware and electric kettle. 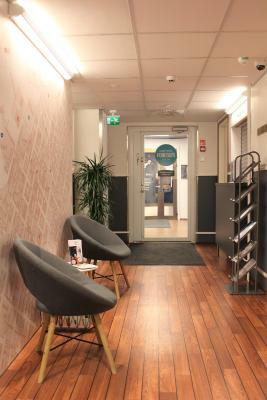 House Rules Forenom Aparthotel Oulu takes special requests – add in the next step! 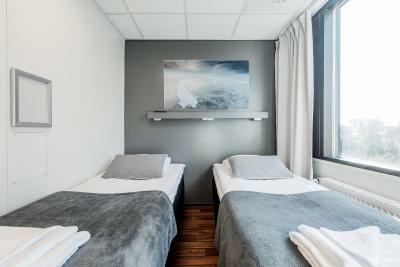 Forenom Aparthotel Oulu accepts these cards and reserves the right to temporarily hold an amount prior to arrival. On your arrival day a keycode will be sent to your mobile phone and e-mail by 16:00. 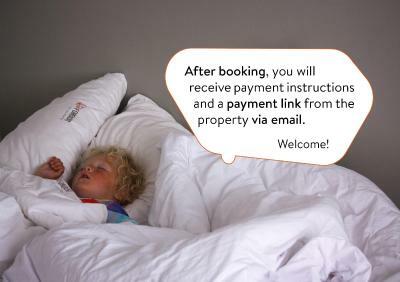 Please be sure to include your country code when booking. 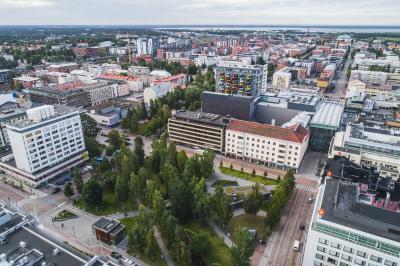 Please note that Forenom Aparthotel Oulu Uusikatu has no reception and uses a keyless entry system. If receiving a code by mobile phone is not possible, please contact the property by e-mail in advance. 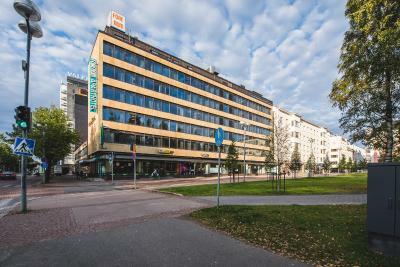 Forenom Aparthotel Oulu Uusikatu offers limited parking spaces. Please note parking cannot be booked in advance. It was an unpleasant surprise that the breakfast opens at 8am on the weekends - I had to leave by that time already. Easy check in with the code, good location. The only explanations for get the breakfast are in the elevator and I almost miss it in the first day. Also the wifi didn't work in my phone. You have to enter your password every time you are entering your room, hotel, even elevator. Not really customer freindly without personnel and only codes to travel trought the hotel. Restaurant was not easy to find. The only bad thing I can think of, about this hotel is the fact that the check-in starts at 4 pm which is a bit late. Also, the check-out is a bit earlier than most hotels, at 11 am. I didn't meet any staff. The light is of bathroom. This was not able to put off. 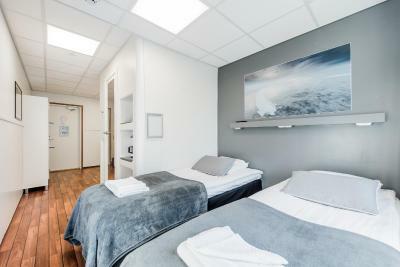 This hotel is great for people with a social phobia because you don't have to talk with anyone at checkin and checkout :-) Seriously though, good location, nice hotel. Appartment was rude. Shower was horrible.